Bridal fashion designer Monique Lhuillier is now bringing her sense of elegance to bridal jewelry! Monique Lhuillier collaborated with Blue Nile, the largest online retailer of certified diamonds, engagement rings, and fine jewelry, to bring brides the jewelry designs they have always dreamt of. 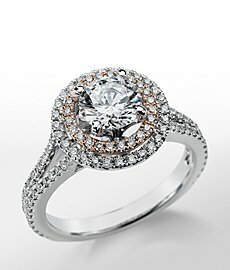 These unique collections of engagement rings, wedding rings, and fine jewelry reflect the elegance and innovative style of Monique Lhuillier - have a look.